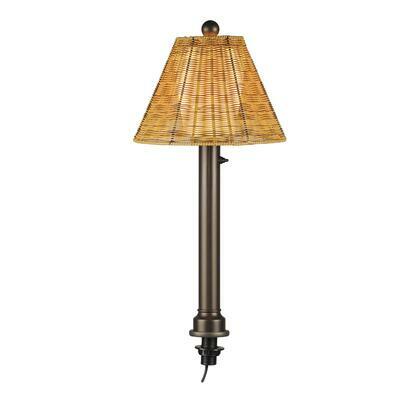 All weather PVC wicker shades highlight these elegant weatherproof lamps. Never had such a pleasant online shopping experience ever. The shipping was super speedy. The sales reps were super friendly. The product was exceptional. Great job guys. Keep up the good work.